REIkit.com real estate investment software has powerful tools built in for performing thorough due diligence on real estate investment properties. This due diligence normally starts with the process of calculating after repair value (ARV) by first selecting appropriate comps, and then using the method that most appraisers use to value property: that of a sales comparison analysis. This post is only about the first part of the equation, and specifically on selecting the sources comps. Whereas the free version of the after repair value calculator suggests 5 comps from Zillow, and allows you to add additional properties to the analysis one by one, the premium version of the software, not only provides you with many more suggested comps to get you started, but also gives you the ability to import comps from the MLS, even if you don’t have MLS access. What comps should you use in the REIkit real estate investment software when trying to get to an after repair value? After you enter your subject property address, the REIkit interface instantly shows suggested comps from Zillow. These are a good starting point, and can help you get a quick value for your subject property. In the premium version of the software you get up to 25 of the best comps as suggested by Zillow. The free version of the tool only gives you 5 comps. However, getting your data direct from the MLS is often preferred in order to get the most current market value for your comparative market analysis. In the premium version of the REIkit real estate investment software, you can use the “Upload Comps” feature to import your own CSV export file of MLS comps that you got from your local MLS or from Redfin.com, so that you can then perform that sales comparison analysis that will get you as close to appraised value as an appraiser would. Getting MLS comps is free and easy in most areas of the country thanks to Redfin.com and described below. 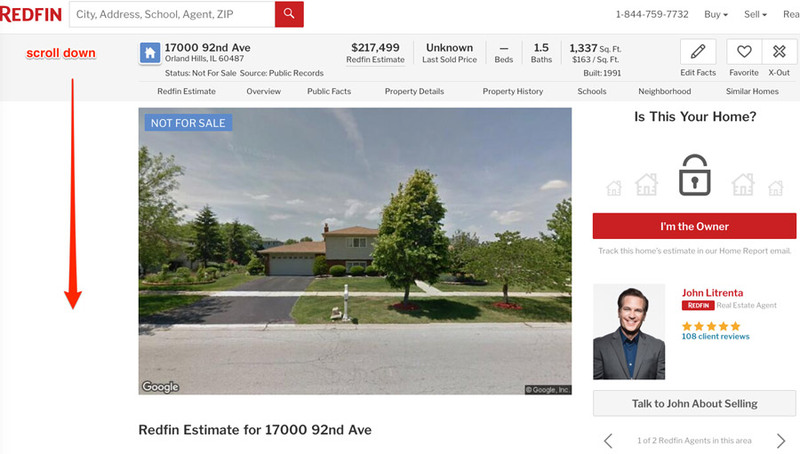 As opposed to Zillow, which uses slightly delayed public record data, Redfin.com shows recent MLS comps, because it is a brokerage with direct access to hundreds of MLS feeds, importing and refreshing property data on Redfin.com approximately every 15 minutes. 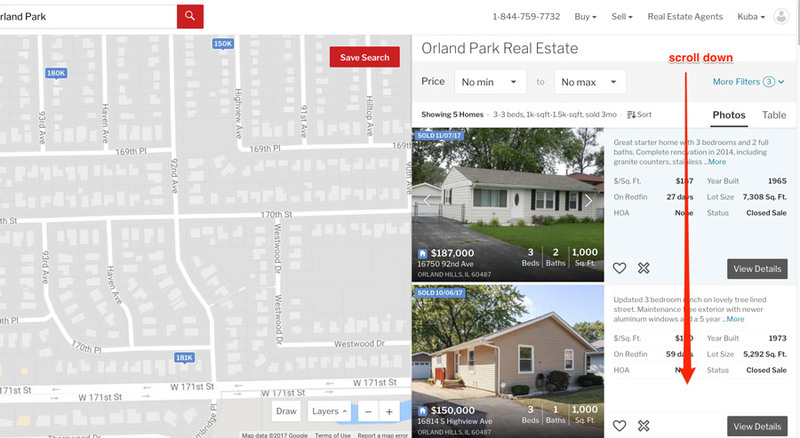 In fact as a Realtor, I personally use Redfin.com to run my comps 99% of the time instead of my paid direct MLS access, due to Redfin’s exceptional user interface, ease of use, and the easy ability to export a list of comps. So to increase the accuracy and flexibility of the After Repair Value (ARV) Estimate in the REIkit.com ARV calculator, the ‘Upload Comps’ functionality was built to enable the instant upload of comps specifically from MLS exports such as those provided by Redfin.com. 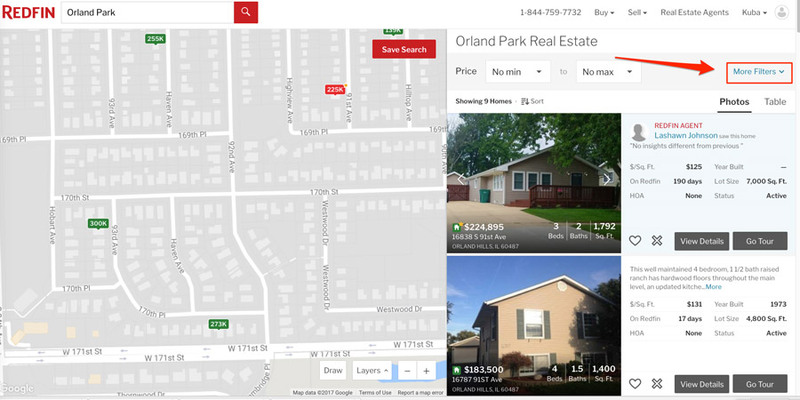 Start with the Redfin website, at www.redfin.com, by entering the subject property address into the search box and selecting it from the drop-down list that appears. 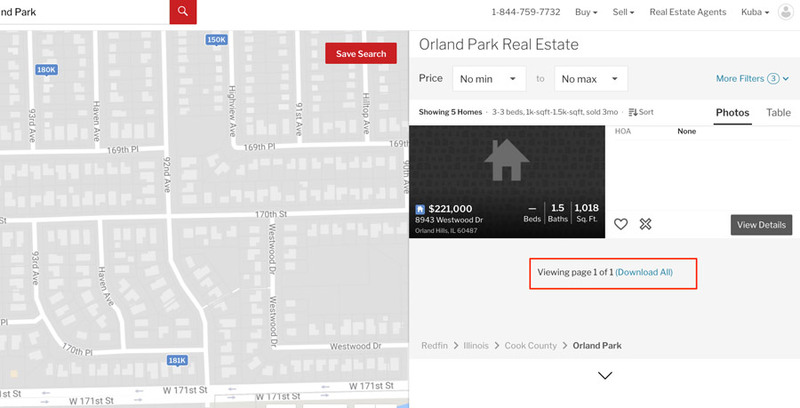 In this post we are going to use 17000 92nd Ave in Orland Hills, IL as an example. Neighborhood boundaries are those such as waterways, large arterial roads, parks, and railroad crossings. Avoid if possible radius searching, such as selecting comps that are in a 1 mile radius. Often the next street over is a completely different neighborhood with completely different home values. You can use the advanced filtering functions to drill down through the results to return your ideal comps. 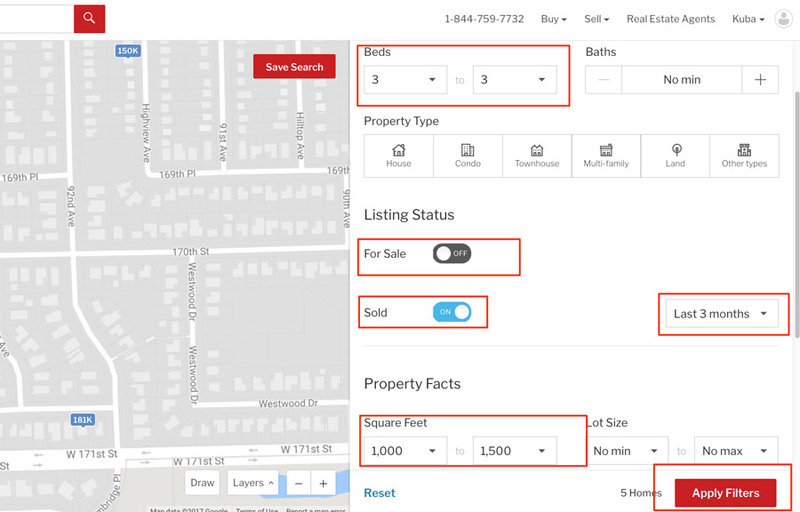 In the box that appears on your screen, click on the ‘Sold’ button to turn it on and display only sold properties, specifying the sold-within time that appears to the right. 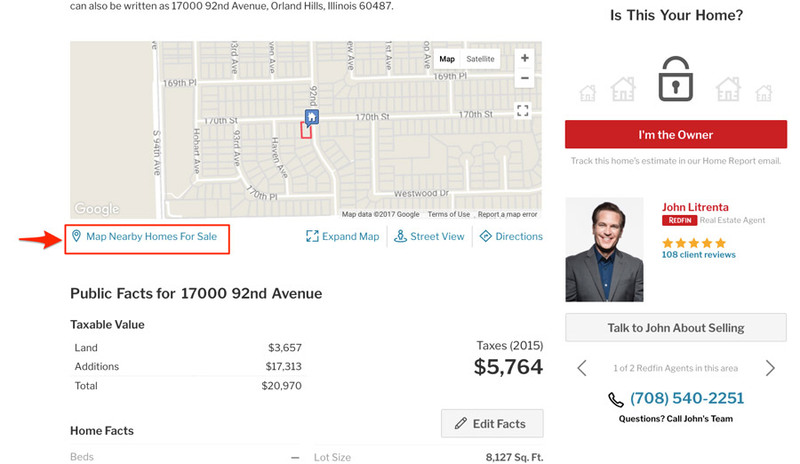 Then, click on the ‘For Sale’ button to turn it off and stop displaying active listings. Click on that link and export the file with filetype CSV. The next step shows you how to upload the file into REIkit.com. Click on ‘Upload Comps’, and then select the file that you exported from Redfin in the file browser, which will begin the upload of the comps to REIkit. Give it a few seconds while the upload finishes before you refresh the screen. You will know that the upload has started, when you see a blue progress bar fill in under the map. So that’s it. 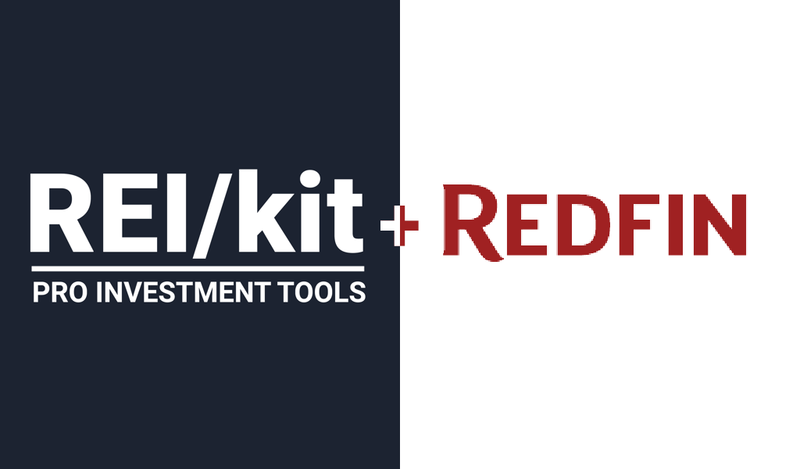 These five simple steps are all it takes to import selected comps from Redfin into REIkit.com for your comparative analysis. You now have a final list of comps that depending on your market could end up being a blend of Zillow comps and Redfin comps. You can then use them in the most important tool for determining your after repair value: the sales comparison analysis tool that you will find in the “Adjustments” tab of the after repair value calculator. REIkit.com real estate investment software was built for house flippers, property wholesalers, rental income property buyers, and those who use the BRRRR method, to analyze their potential real estate investments.